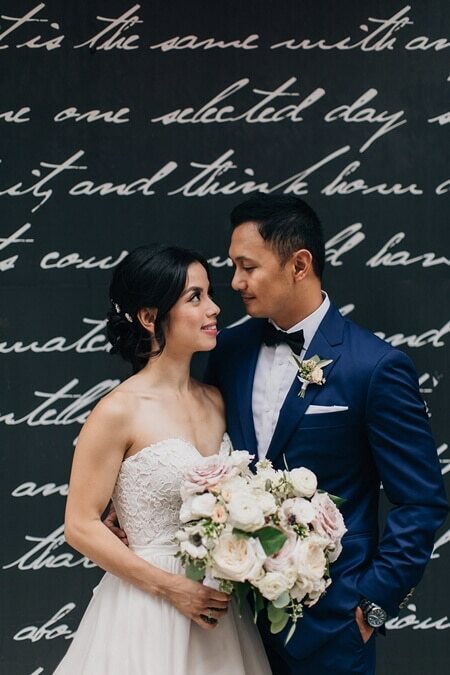 April and Ivan’s romantic and whimsical wedding was inspired by how they first met: through dragon boat racing. 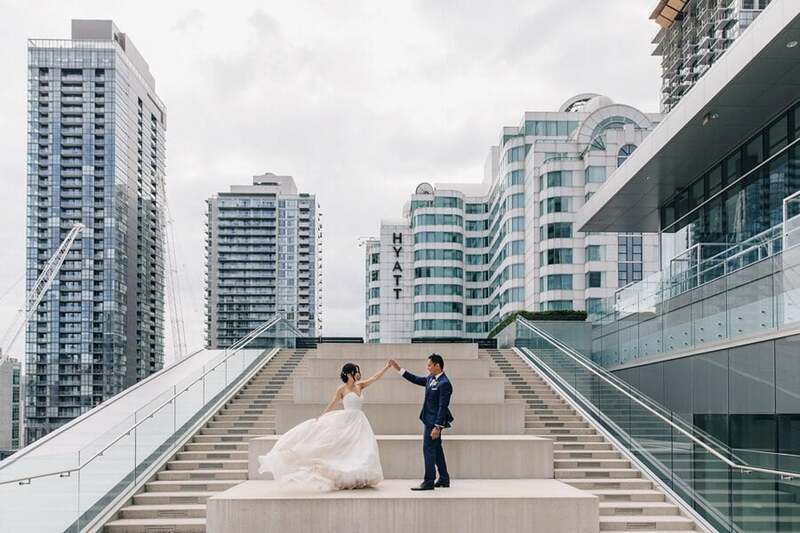 Held at the stunning Malaparte – Oliver & Bonacini in Toronto and filled with charming personal touches and pretty pastel colours, this is one gallery you won’t want to miss. 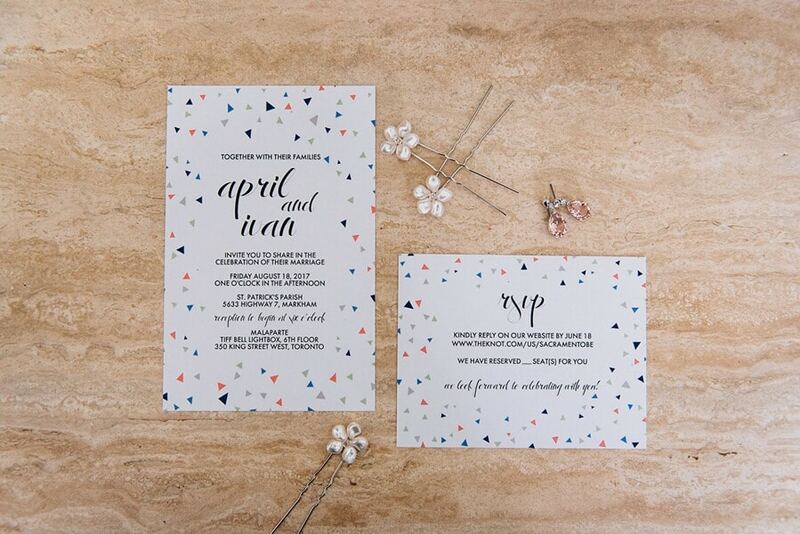 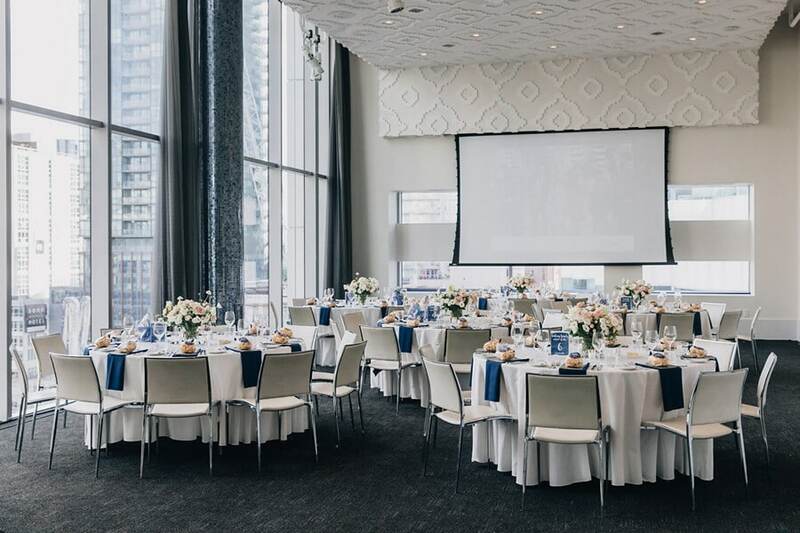 From the Bride: We loved the modern look of Malaparte and its bright and clean design. 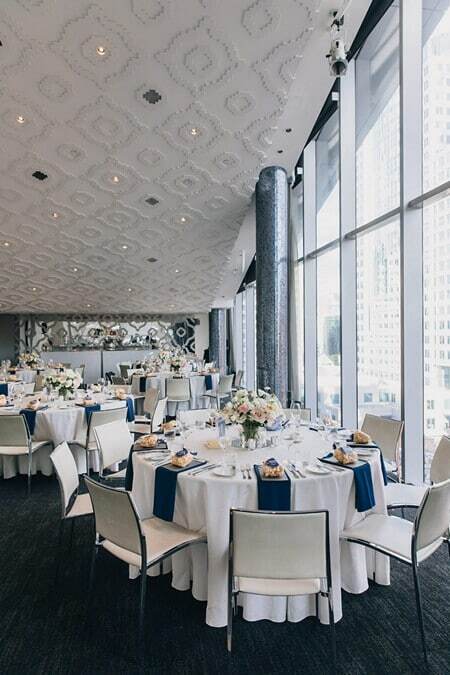 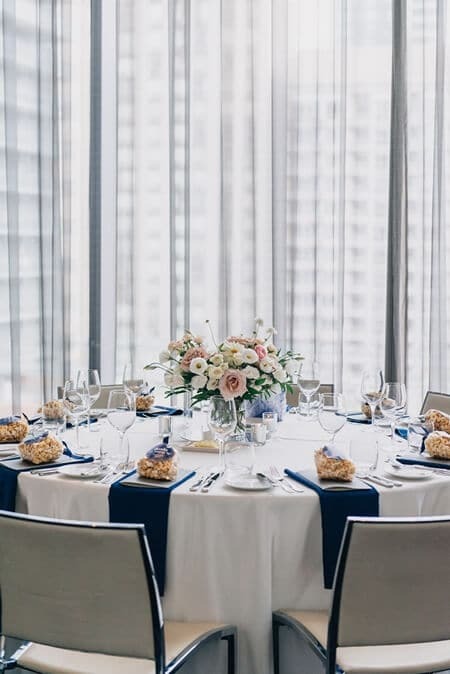 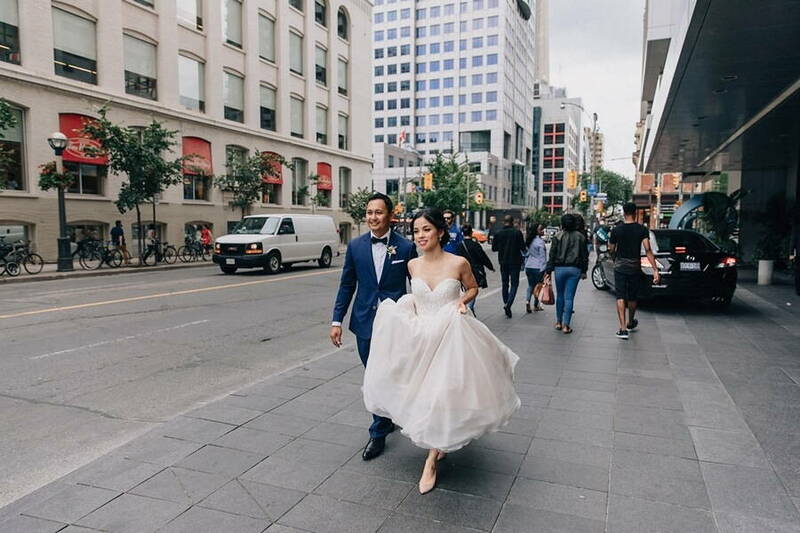 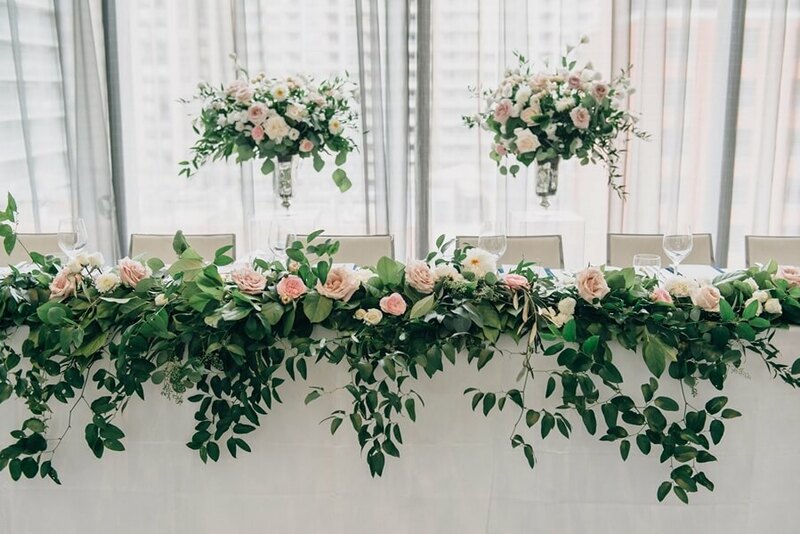 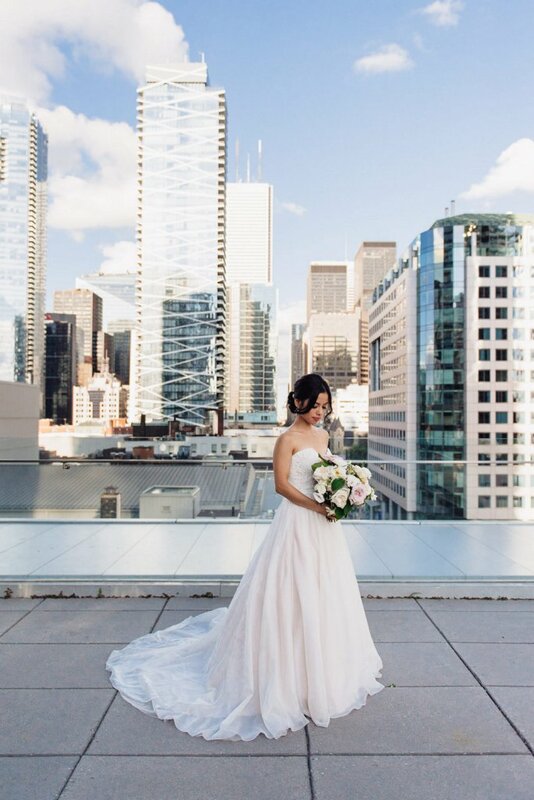 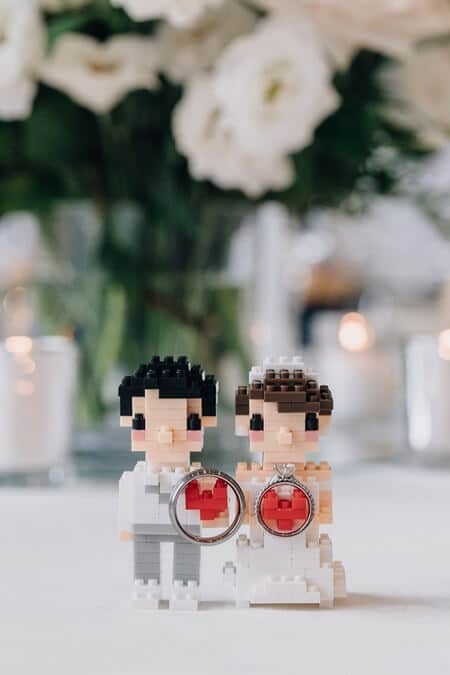 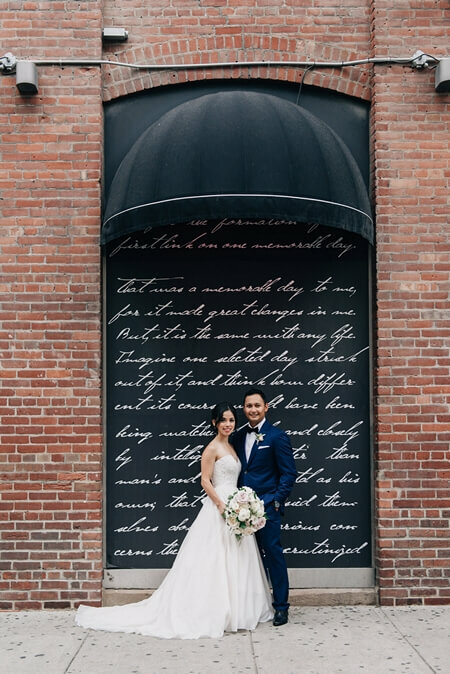 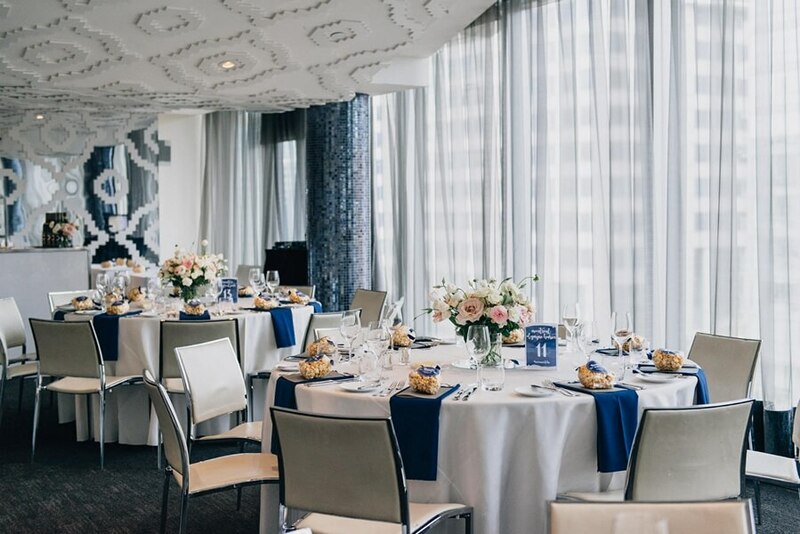 What better way to pay homage to the city by hosting our wedding right in the hub of downtown Toronto with a beautiful view of the city skyline?! 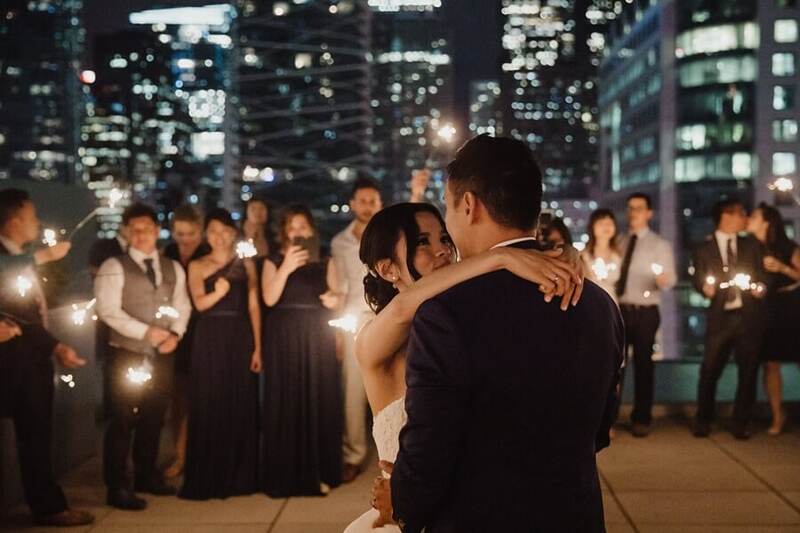 Luckily, EightyFifth Street Photography was on hand to capture each memorable moment. 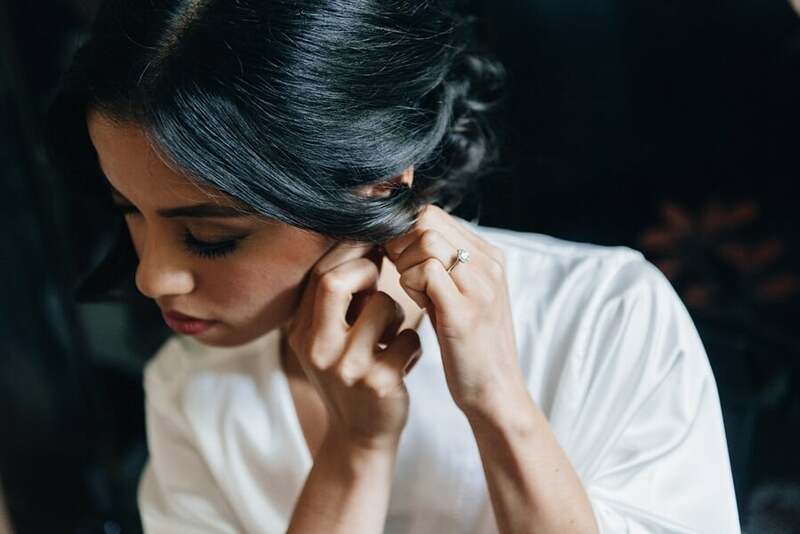 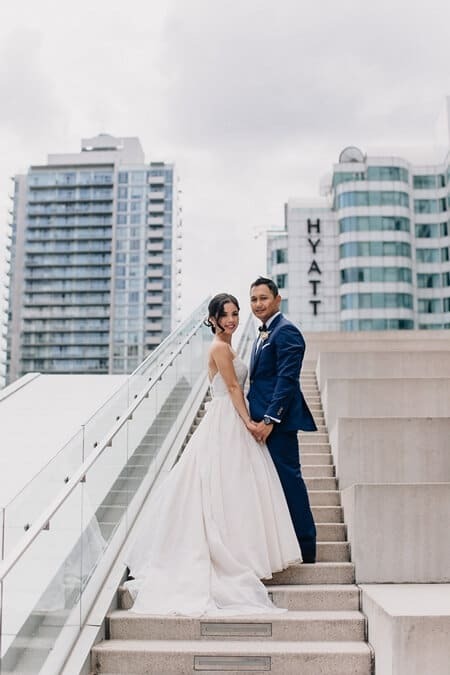 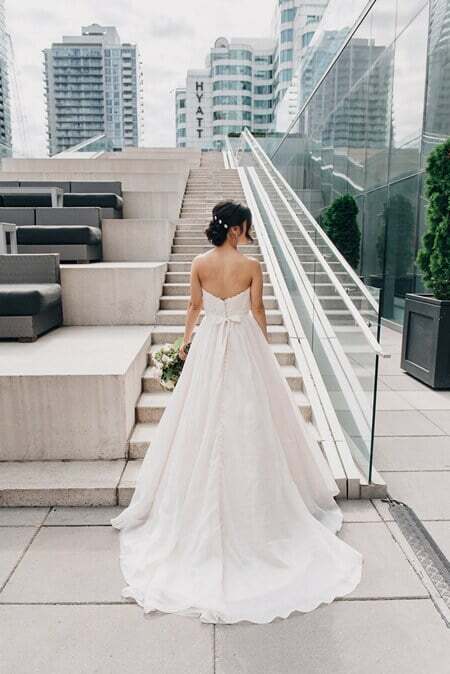 With the stunning views of downtown Toronto serving as the backdrop, the couple’s modern and chic photo session was filled with tender moments. 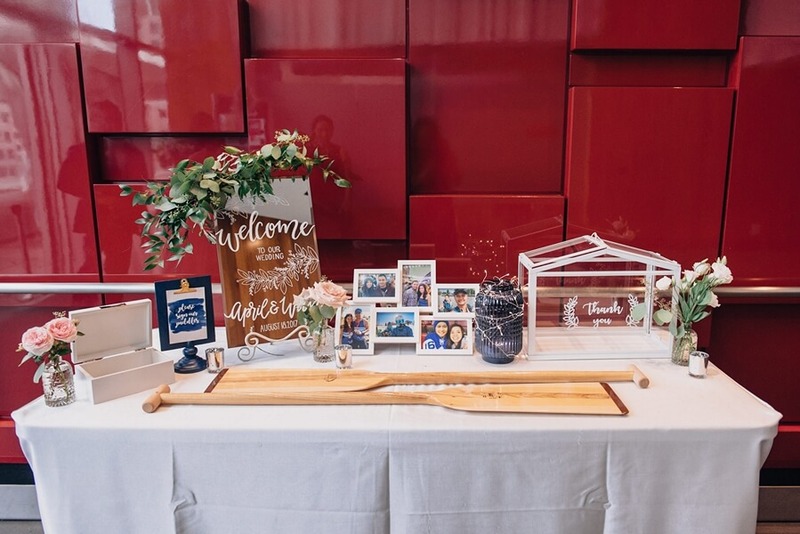 The playful dragon boat details were tastefully incorporated into their wedding decor resulting in a beautiful, personalized event that was meaningful to the couple. 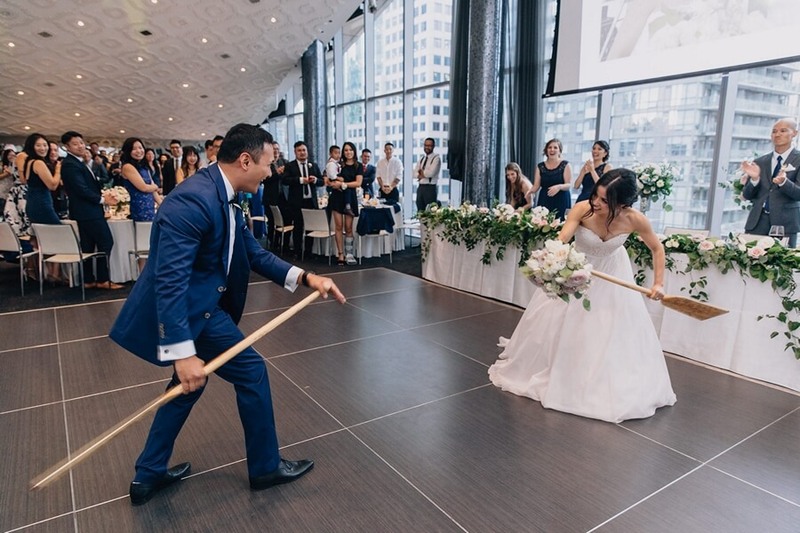 Even the guestbooks were real paddles! 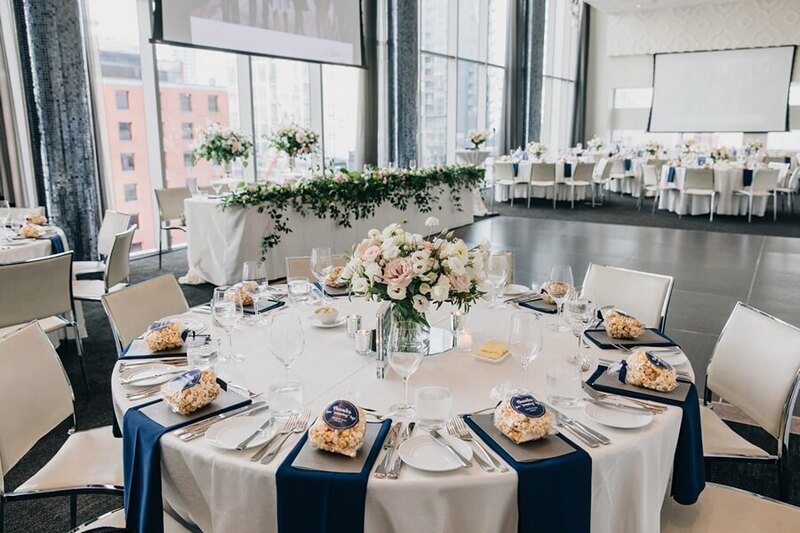 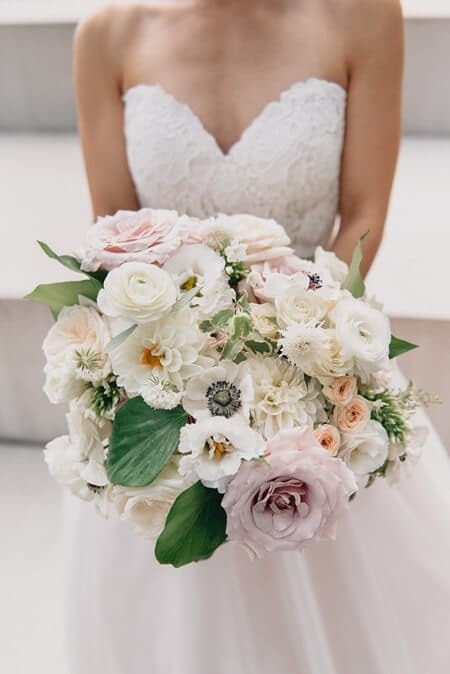 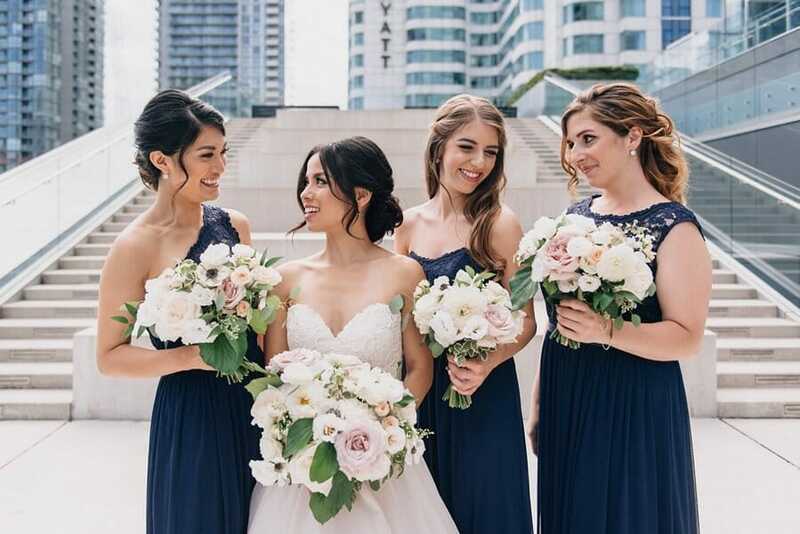 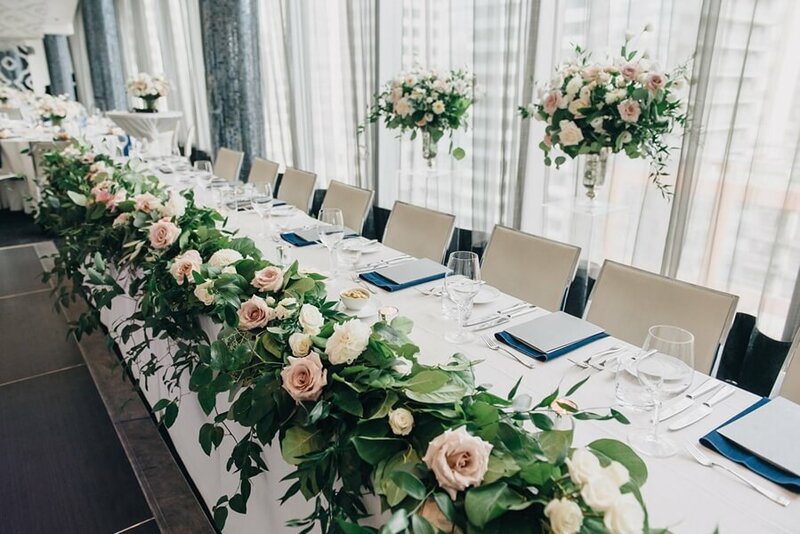 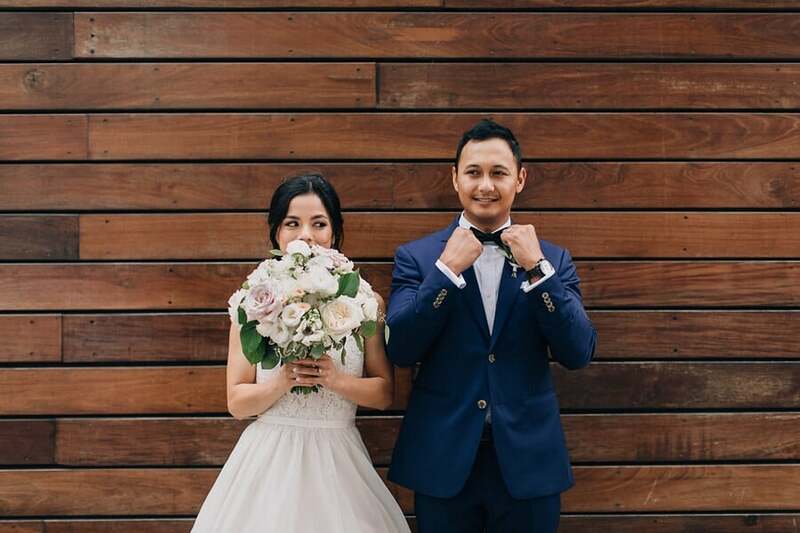 Pops of blue representing water mixed perfectly with the neutral and pastel palette while the gorgeous blooms from Flower 597 came together with the venue to create a luxuriously modern atmosphere. 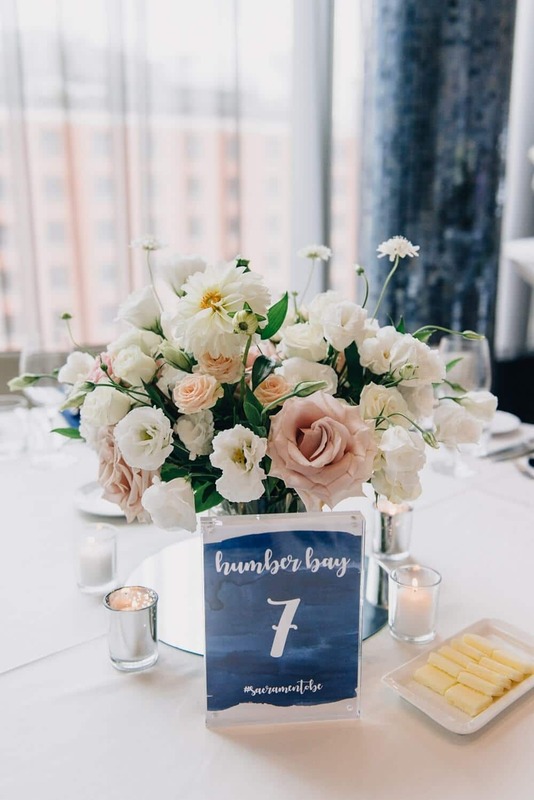 The tables at the reception were all named after places that the couple had been dragon boating and the sweet stationery from Lovely Little Design Co. added the right amount of sweetness. 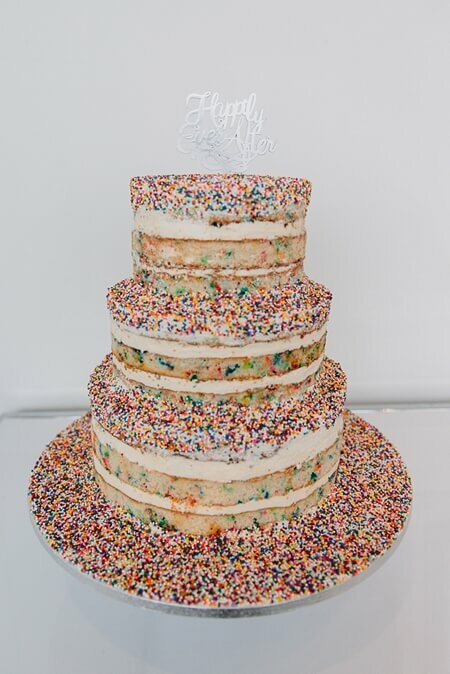 Speaking of sweet, the rainbow-sprinkled cake from Flo Patissiere perfectly capped off the night. 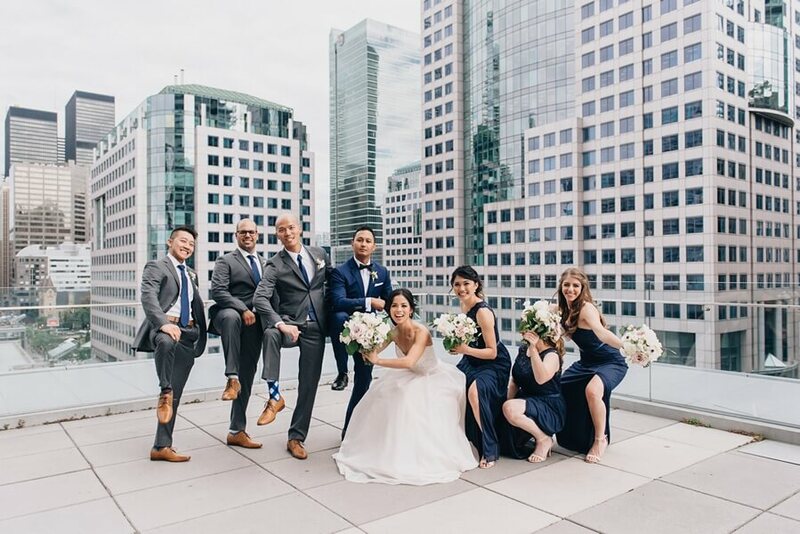 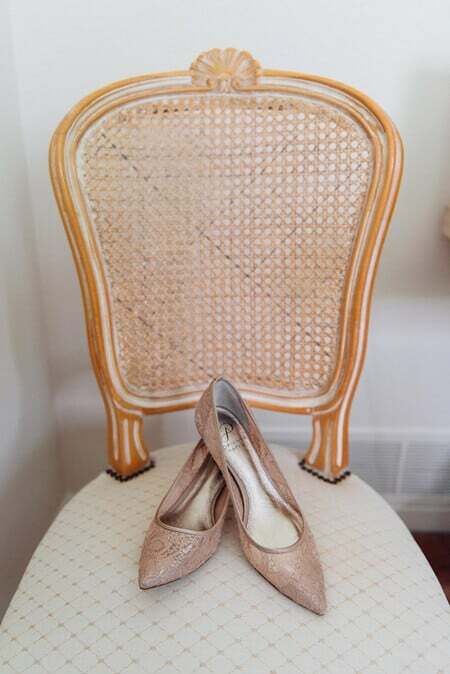 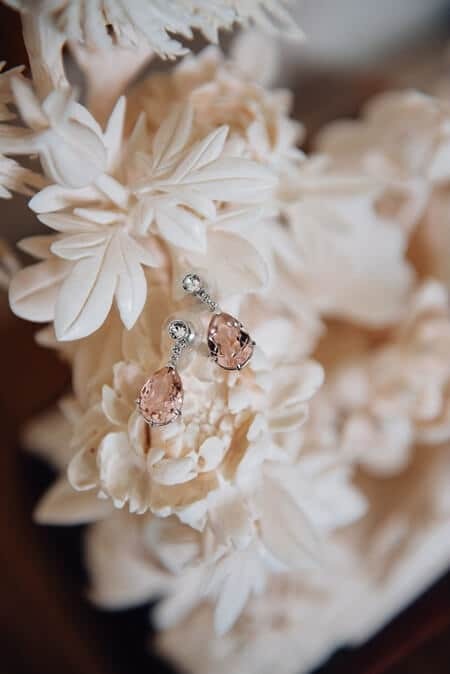 From the Bride: Ivan and I met on a dragon boat team and when we were planning our wedding we knew that we had to incorporate a few elements of that in our wedding. 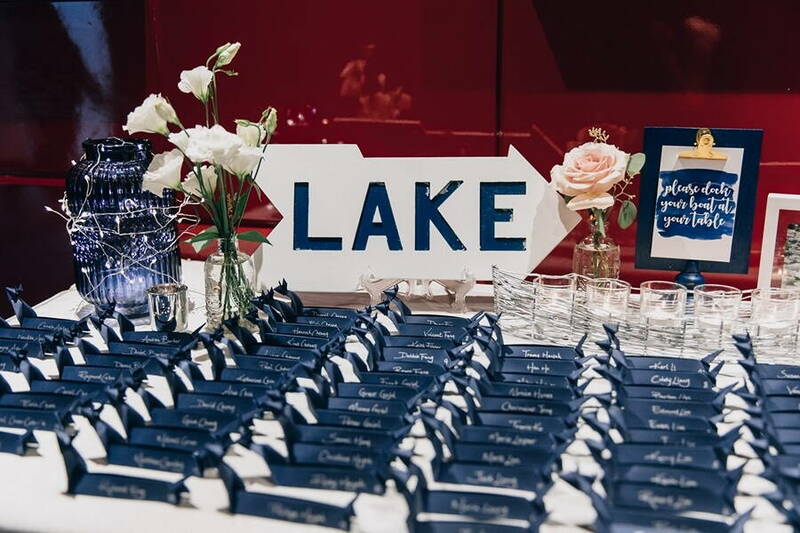 For instance, the table place cards were mini origami dragon boats that were folded by my mother, our guestbook was two paddles which are now displayed in our home, and the table numbers that I made were all named after dragon boat docks across the country that Ivan and I have visited together. 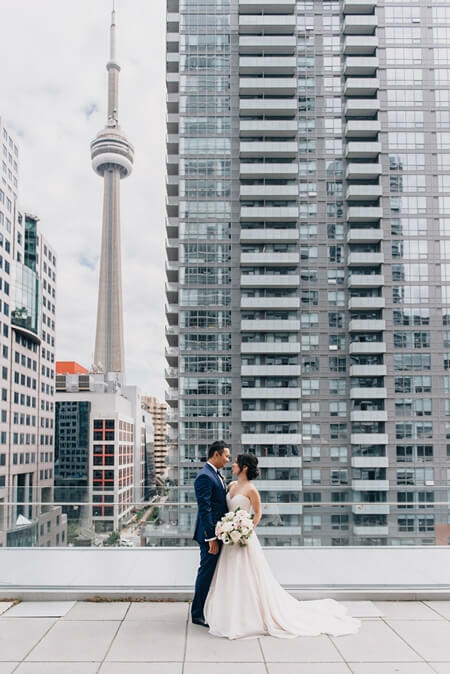 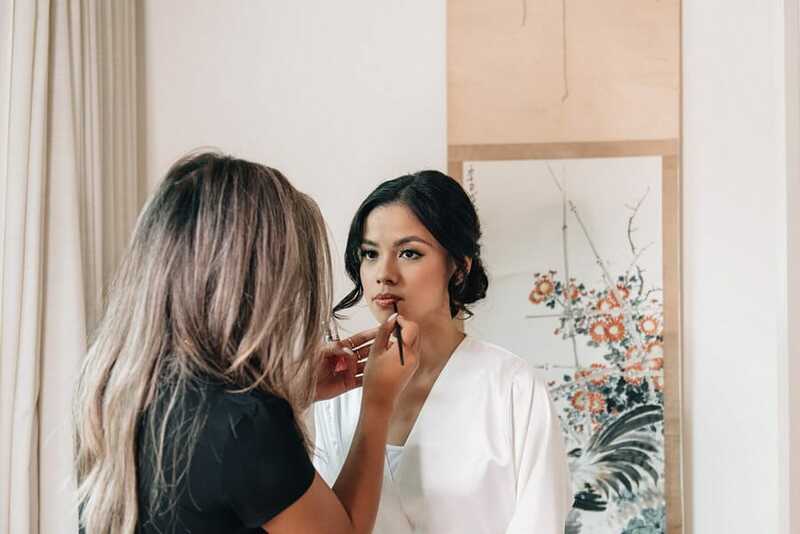 Photographer: EightyFifth Street Photography Venue: Malaparte - Oliver & Bonacini Hair & Makeup: Judy Lim Makeup Florist: Flower 597 Wedding Cake: Flo Patissiere Invitations & Stationery: Lovely Little Design Co.